Add all the ingredients for the ice cream to a Vitamix and blend until it is well combined and smooth. Adjust sweetener to your preference. Pour the ice cream mixture into your ice cream maker and prepare according to your machine's directions. When it's finished, stir in the cacao nibs by hand. Option 1: For a soft-serve type ice cream, serve and enjoy. 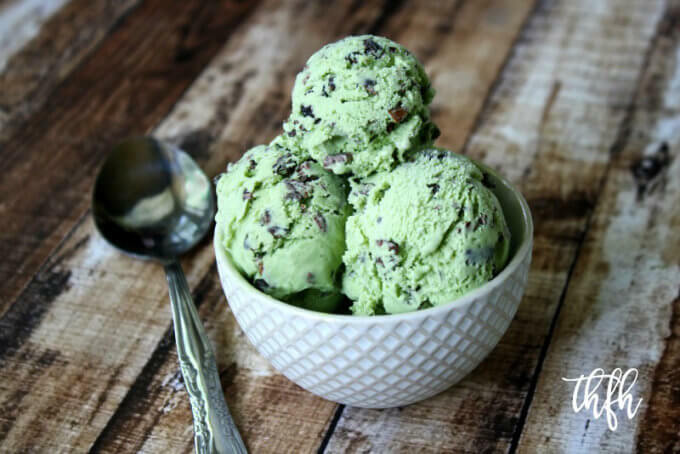 Option 2: For a firmer ice cream, cover the inner container of the ice cream maker and put it in the freezer for approximately 1 hour, or until it gets to the consistency and hardness that you prefer. The recipe and photographs for "Vegan Superfood Ice Cream" by Karielyn Tillman of The Healthy Family and Home website are licensed under a Creative Commons Attribution Non-Commercial No Derivatives 4.0 International License and cannot be used without my written permission.